From our advanced technology to our long-standing reputation for excellent patient care, we have a passion to provide earlier detection methods, and more innovative treatments to the Coastal Empire and Lowcountry. 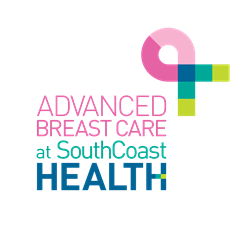 At SouthCoast Health, we set the standard in Advanced Breast Care. From our advanced technology to our long-standing reputation for excellent patient care, we have a passion to provide earlier detection methods, and more innovative treatments to the Coastal Empire and Lowcountry. Join us as we celebrate Breast Cancer Awareness month and learn how SouthCoast Health puts Total Wellness first and foremost. Our Imaging Center consistently brings the latest technologies and methods to the Coastal Empire and Lowcountry, making us the most experienced provider in the region. First in region to offer 3D Mammography. First in the region, and third in the nation to provide 3D-Guided Stereotactic Biopsy. MRI, Ultrasound, Ultrasound Guided Biopsy, & Genetic Screenings. The first in the region to offer a dedicated High-Risk Breast Cancer Clinic and offer Hidden Scar Breast Cancer Surgery. Breast cancer surgery that hides scars, providing treatment while optimizing cosmetic results. The full power of our integrated network of physicians and specialists works for every patient, helping them make the best decisions. Nationally recognized as a Patient-Centered Medical Home by the National Committee for Quality Assurance. Patient Care Navigator services help patients take full advantage of their treatment options. Breast Imaging Center of Excellence. Saturday Mammograms available at our Savannah location throughout the month of October. SouthCoast Health is a multi-specialty, physician-owned medical group with more than 120 healthcare professionals and 18 locations. The organization has been providing quality healthcare solutions to the Coastal Empire and Lowcountry for more than 20 years and is dedicated to complete patient wellbeing. For more information, visit SouthCoastHealth.com and connect with SouthCoast Health on Facebook.